A few months back, a few friends were having an art show where they re-imagined the covers of classic albums. I didn’t hear about it until it was too late but I had wanted to create a piece for it. I had several thoughts. Electric Ladyland, Bridge Over Troubled Waters, and My Aim is True immediately came to mind because their titles lent themselves to very strong visuals. I was well past the deadline but I decided to build an idea just for fun. 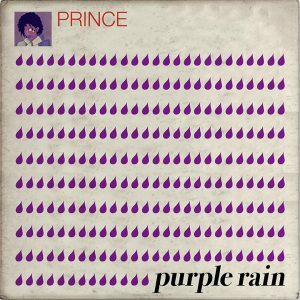 I ended up rejecting all those choices and settled on Purple Rain. 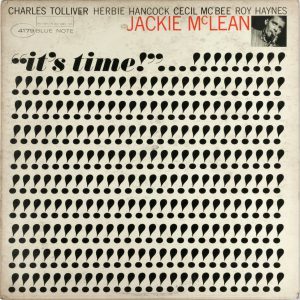 I had the idea of stealing the form of Jackie McClain’s it’s time. 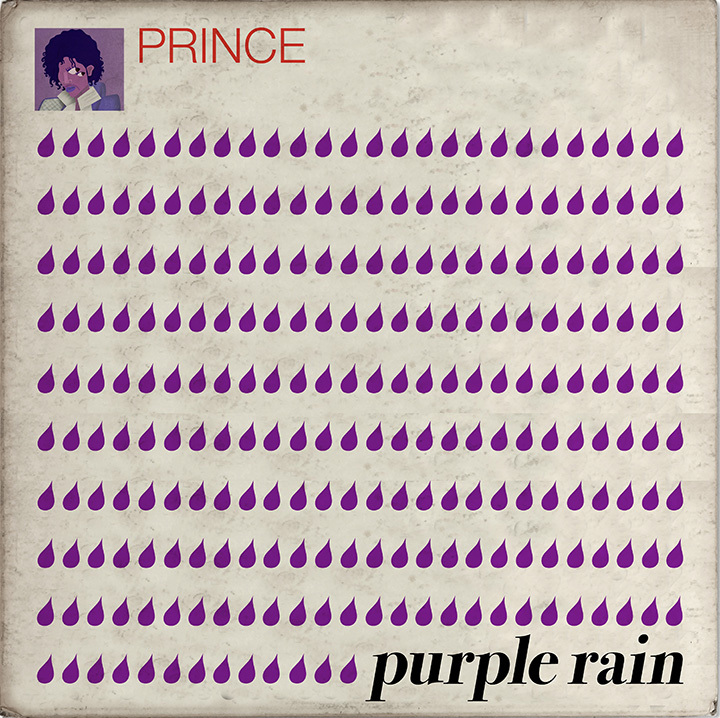 The exclamations points always made me think of rain, I would just change them to actually be rain. 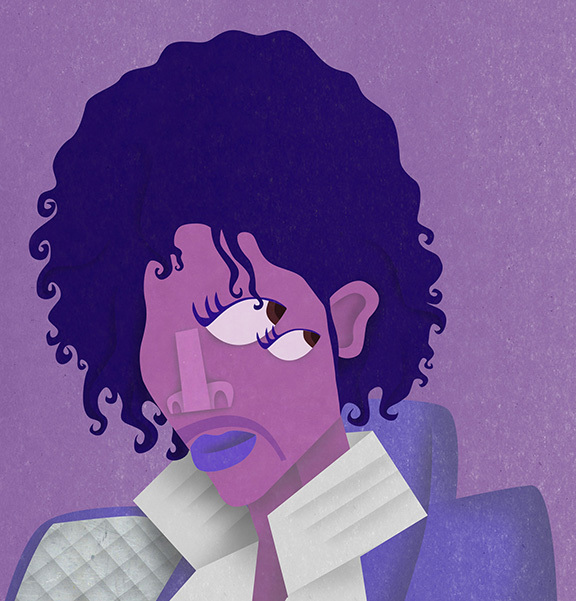 As for the image of Prince, well, I find doing caricatures particularly difficult, but I do like to do them. I don’t think it came out half bad. I am very sad that he is gone.